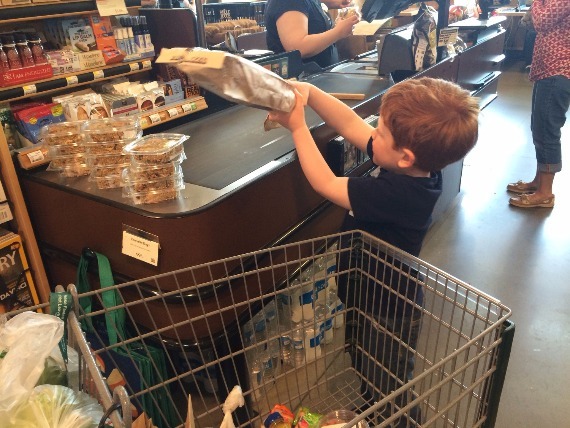 Last week I put Tucker in charge of our family dinner. Ok, so this idea came from 2 basic ideas. 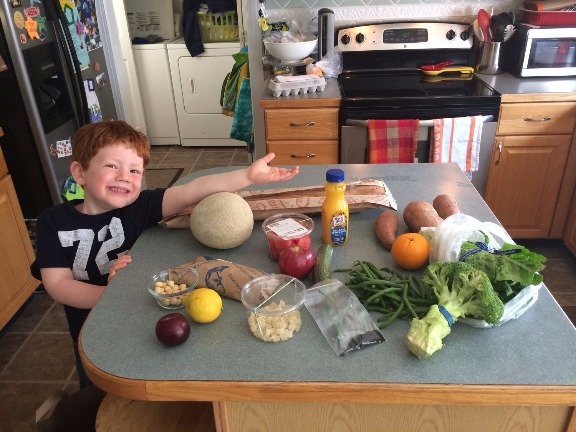 The first is no matter what Tucker does when he grows up, whether he is a plumber or the president, he has to eat everyday, and I want to teach about local ingredients, complimenting flavors, cooking styles etc. The second idea was, I needed an activity to fill up an afternoon for a 4 year old boy. 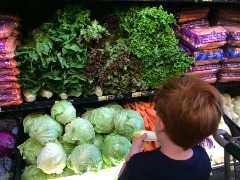 Tucker had to pick out ALL the food (I was allowed no say, which delighted him) but we had to have a meat, fruit and veggies. This is him asking me what Belgian Endive is, (the only Belgian food exports I'm familar with are waffles and chocolate) needless to say we learned together. Nothing was off limits, it was as if we were both shopping with fresh eyes. 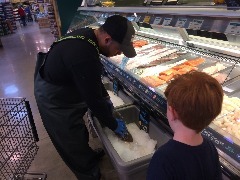 We got an entire flounder, and were mesmerized as we watched it be filleted for us. ​Did you know that in addition to having the bulk section at Whole Foods, they have a bulk SPICE section, so you can sample new spices or simply buy enough for a certain recipe you are preparing? I did not, until Tucker pointed out some Hawaiian Black Salt he wanted to try. Thank you to Tucker. P.S. the Hawaiian Black Salt is AMAZING! P.S.S. Did you know that long french bread is called "Bread Swords"? Well it is if you are 4 anyway. Not only was this a fun way to fill an afternoon, but my little man introduced me to some flavor profiles that blew me away! Even though I thought of this as an experiment to teach my son about food, he schooled me with his new fresh take on things. He has given me permission to share his recipes and I will be throughout this week. Have a little one and want to teach them about food, plus learn a thing or two yourself? Where there's a meal, there's a way!